First and foremost is this big-scale entrant in the market which Italeri has made its own - 1:35 scale naval vessels. And here’s another Italeri MTB (Motor Torpedo Boat), this time the high-speed Royal Navy Vosper MTB of World War II fame, used for coastal patrols and anti-submarine support. The Italeri model measures 636 mm (25 in) long and is loaded to the gunwhales with crisp detail, including neat metal-etch components. Ghost ship or active duty? As supplied, the Vosper MTB is something of a ghost ship - for a full crew complement you will need to source the 1:35 scale figure set, available separately. Ordinarily, we’d moan about this, but as many naval modelmakers prefer their ships to be uncrewed for display, in this case we won’t make a point of it. 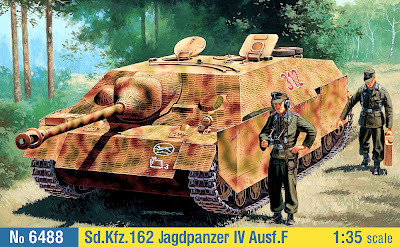 From the same era and to the same 1:35 scale, but representing ground combat, Italeri bring us the Jagdpanzer IV tank-killer AFV, one of the most widely used weapons of its kind in that war. The kit is not brand-new, but is fully upgraded with cleaned-up moulds, a finely-turned metal gun barrel, and various metal-etch components. 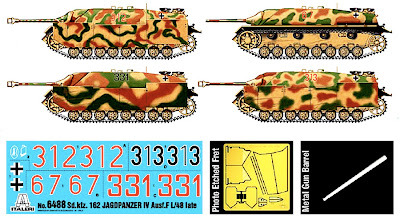 An excellent decal sheet is supplied, though you will have to be careful to make them affix properly to the distinctively ridged - and very neatly sculpted by Italeri’s tooling elves - Zimmerit anti-magnetic mine coating. 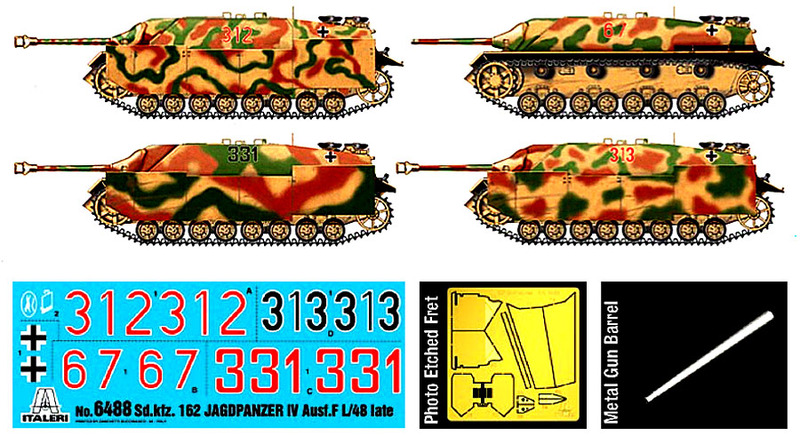 When assembled the Jagdpanzer IV measures 245 mm (9.7 in) long. 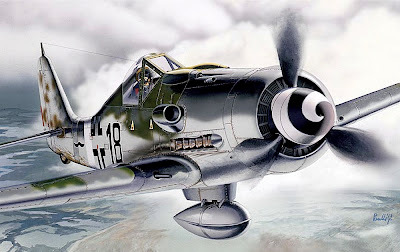 The German Focke-Wulf Fw 190 D-9 Dora was an attempt to provide the Kurt Tank-designed fighter with better high-altitude performance to combat high-flying Allied bomber streams. The Italeri kit breaks no real records, but is a neat enough production and comes with markings for four different aircraft, and one nicely sculpted figure. As depicted, the spiral-painted propeller spinner is not an easy option though, and may be a case for supplying a pre-painted version in future, for those of us who are less than adept with intricate details like this. Maybe an upgrade-kit could include this in time for New Year 2013. When assembled, the Fw 190 measures 145 mm (5.7 in) long. 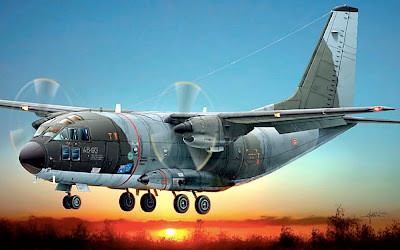 The Aeritalia G222 (C-27A in US Air Force service) is a tactical airlifter that is somewhat smaller than the well-known Lockheed Martin Hercules. Having seen one in action at an air show last year, we can confirm a unique party-trick - it is the only cargo plane of its type that can loop-the-loop. It’s amazing to watch and, combined with excellent short-field performance, must have been a winning card in earning those US service stripes. As for the model, well we love cargolifters, and this G222/C27A would look terrific in a lineup next to Revell’s recently-introduced Airbus Military A400M to the same scale. When assembled the aircraft measures 315 mm (12.4 in) long.